If you are struggling with every bump in the road or every unexpected expense, you may benefit from an emergency fund. Going without an emergency fund is like operating without any savings. Your emergency fund can protect you from all of the unexpected expenses you may encounter whether big or small. Here are eight reasons you should have an emergency fund. Your emergency fund can help you stop adding to your debt with each bump in the road. An emergency fund can help cover the things you don’t budget for like car repairs or medical costs. You can use your emergency fund to handle these stressful events and make it easier for you to stay focused on getting out of debt. It is easier to pay extra money on debt right away when you have a cushion for unexpected expenses. Include your emergency in your budget until it is fully funded. When you first start budgeting, you may be leaving out some of the expenses that you need to plan for. Your emergency fund can cover some of these expenses the first year, and then you can add those expenses into your budget as they come up. This could be annual expenses like taxes or other items like gifts or fees for organizations. Your emergency fund can help you as you adjust to your budget. As unplanned expenses come up, write them down and adjust your budget to include them in the future. After a few months, you should not have any unexpected expenses. 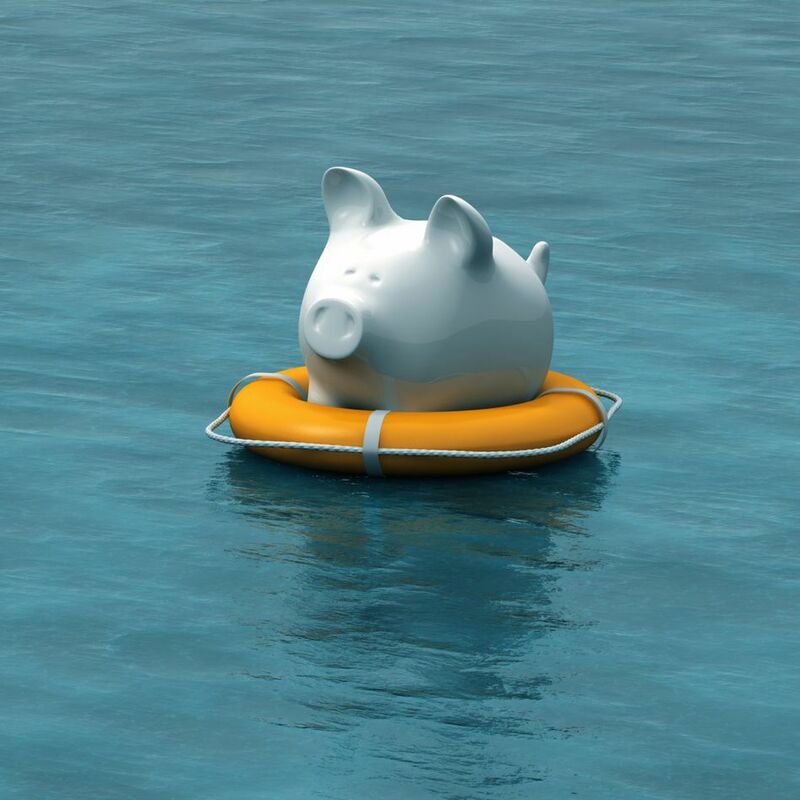 If you only have one source of income, it is essential to have a substantial emergency fund. This can help you get through an unexpected job loss or illness that keeps you from working. If you are single or if you the sole income provider in your family, you should work on having a year’s worth of expenses saved up. You can build up the larger emergency fund after you get out of debt. If you are just starting a family, you may need to increase your emergency.fund. If you are single, work on building up your emergency fund as quickly as possible. If you are self-employed, an independent contractor or if you work a job that does not allow you to claim unemployment benefits, it is important to have a good emergency fund saved up. It is also important to have multiple income streams as the amount of work goes up and down. If you know that your contract may end soon, you should work on building up more money in your emergency fund. Additionally, you may want to plan extra savings for months when business is slow. Keep track of your invoices to make sure that you do not miss collecting on money to avoid needing to use your emergency fund. When you own your home, you will have to pay for all of your repairs and upkeep. Although you should set up a sinking fund to cover remodeling and most repairs, you may have unexpected costs like a plumbing repair or air conditioning repairs. Your emergency fund can help you handle these costs and make owning your home just a bit less stressful. Home repairs can be expensive, as is replacing an air conditioner or furnace. Try setting up funds to save for these expenses before they occur. Be sure to plan for your taxes in your budget. It can be expensive to travel home, and the costs go up if you need to travel at the last minute for an emergency. It helps to have a good emergency fund saved up to cover the cost of last minute tickets to home or other family members in the event of an medical emergency or a funeral. Price the cost of an airline ticket and other expenses and start saving up for that. Remember that last-minute bookings are often more expensive. A serious medical condition can cause you to max out your deductible each year. You may have routine tests that add up quickly. You may also use all of your sick leave and end up taking days off with no pay. A well-funded emergency fund can help you deal with these costs and make it easier to get through these challenging times. Medical issues can be expensive and insurance companies may not pay everything that you expect them to pay. You may also miss work and run out of sick pay which can lead to bigger issues. Your emergency fund can help offset this. If you are working toward a goal like owning a home or starting a business, your emergency job can stop you from dipping into those savings when unexpected expenses crop up. This can prevent you from moving backward with these goals. Although your progress forward may slow a bit as you rebuild your emergency fund, you will be able to leave the money that you are saving for you. This is a great way to protect your savings.